Packaging solutions specialist Essentra has installed a new Océ VarioPrint 6180 TITAN at its Slaney Road, Dublin offices, to ensure it is providing customers with the best value, highest quality services and products while streamlining and improving production. After extensively exploring the market for a solution that matched its business needs, Essentra tasked the team at Canon Ireland to provide them with a cutting-edge print solution to support its current customer base as well as growing and developing its business. Barry Marron, Managing Director, Essentra, commented: “The team here at Essentra are delighted with this new partnership. After conducting intense and in-depth research over a number of months, we partnered with Canon because of their cutting-edge solution to our unique business needs. 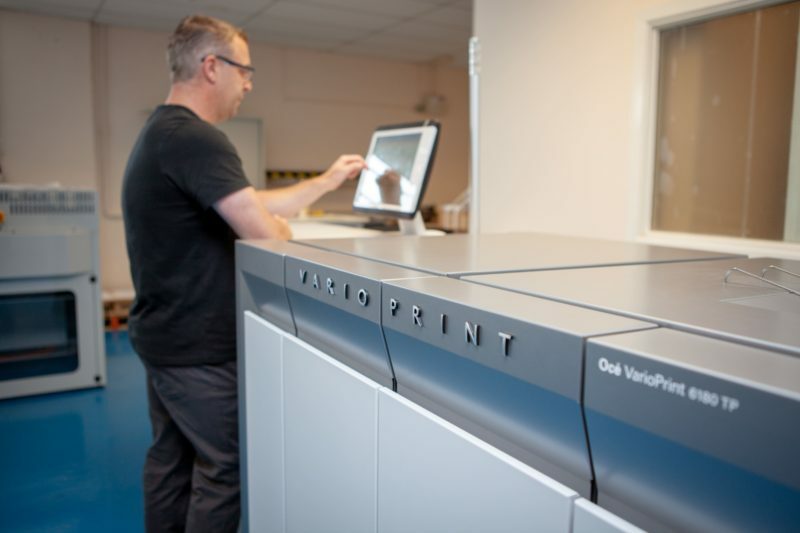 The Océ Varioprint machine is second to none in its abilities, and the team at Canon Ireland has been on the ground with us from day one ensuring that the transition to this new machine runs smoothly. Essentra is a global manufacturer and distributor of vital component parts for hundreds of markets and thousands of products – producing and distributing millions of small but essential components daily. Essentra’s international network extends to 33 countries and includes 49 principal manufacturing facilities, 66 sales and distribution operations and 4 research & development centers.